With supercomputers capable of beating our best chess and Jeopardy players, you'd think that being able to simulate the sounds a tire makes while rolling on a road was easy—but it's not. In fact, Yokohama had to team up with the Japanese equivalent of NASA to finally recreate how air and sound behave around the company's tires. 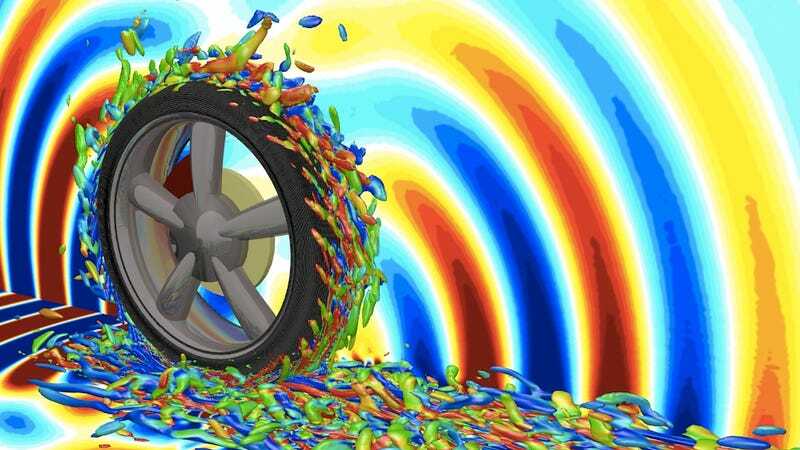 Working with the Japan Aerospace Exploration Agency's Institute of Space and Astronautical Science, Yokohama's researchers used a detailed 3D model of a tire to finally simulate how the sounds it produces are created. And it turns out those sounds are not only produced by all the air turbulence around a rolling tire, but also by the constant compression of air in front of the tire where it meets the road, and as it circulates around it.